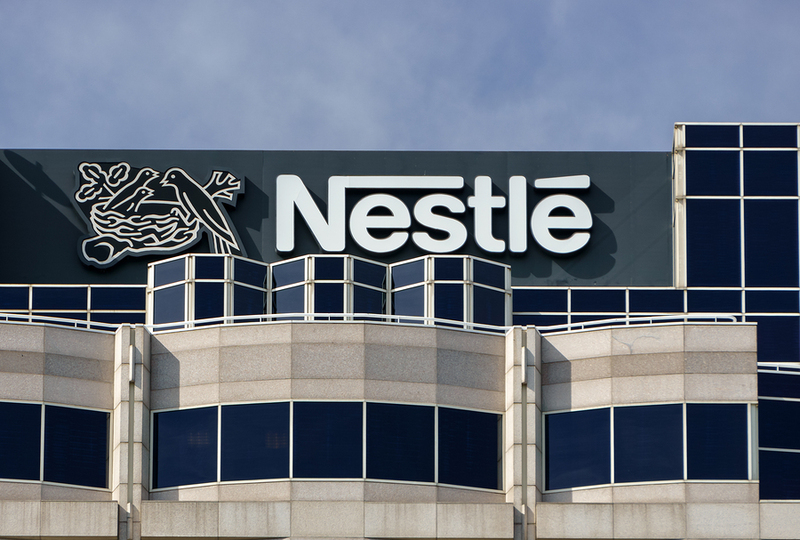 As pressure grows on corporations to push for a sustainable future, both Nestlé and Danone have teamed up to create a greener plastic bottle. The two companies have announced that they are investing an undisclosed amount to fund Origin Materials, a Californian biotech company. In the hopes that the sum will accelerate efforts to develop plastic sourced from waste and sawdust instead of petroleum, both Nestlé and Danone hope to produce commercial quantities of bottles made almost entirely from the new plastic by 2020. They said that by collaborating, significant changes would be made. Only last week Coca-Cola announced that it was supporting a programme to let customers return used bottles in exchange for a small fee that was paid at the point of purchase. Each year in the UK the average household uses 480 plastic bottles but only manages to recycle 270 of them, meaning that 44 per cent are left to go to landfill sites across the country. Over 35 million bottles are used every day in the UK, which means that a total of 16 million aren’t being put out for recycling. It takes on average 500 years for the average plastic bottle to decompose and by recycling just one tonne of plastic, over 1.5 tonnes of carbon emissions could be saved.